Reading a casual remark by David A. Conner in the Wilmington Evening News Journal of December 5, 1910, I was set off on a line of inquiry that encompassed two events over 100 years apart; both had astonishing similarities in how they unfolded, and both would permanently change the behavior of American parents with respect to their children’s interaction with the larger society. To make the first part of a very long story short, on December 5, 1910 Conner remarked on the fact that a run-down home on Milton’s Poplar Street – right around the corner from his own home on Union Street – was being restored from a state of neglect in expectation of housing a new tenant. The owner of the house, he said, was Christian Ross & Co. of Philadelphia. It happened that Christian Ross was deceased thirteen years at this point, and that the property now — at least according to Conner — belonged to Christian’s heir, his son Charley Ross, “be he living.” Conner would further elaborate on what he meant by that last phrase in his Milton News letters of December 9 and December 23, but the newsprint is mostly illegible. 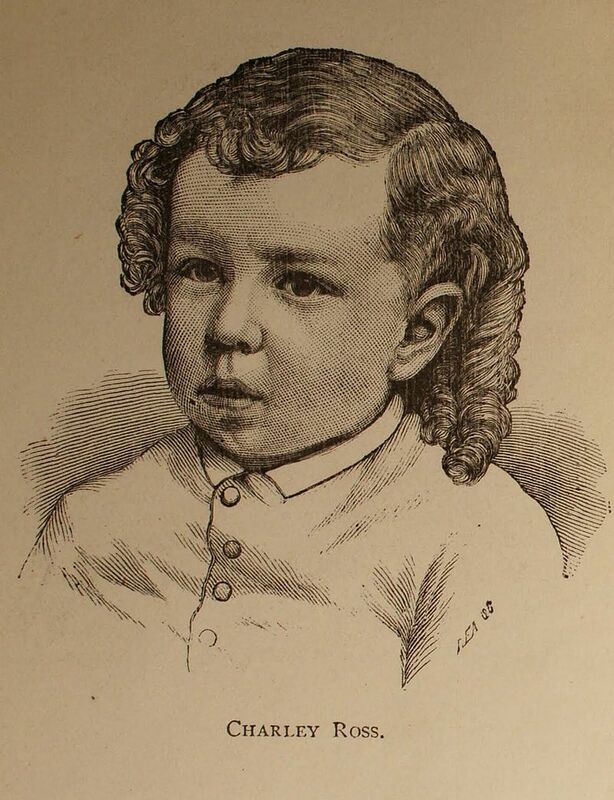 In reality, 4-year-old Charley Ross disappeared in 1874 and was never seen again. The story of what befell Charley and his family, however, was still fresh in many minds across America in 1910. The abduction of Charlie Ross was the first case of ransom kidnapping in the U. S. that received wide media attention. On July 1, 1874, Charlie and his five-year-old brother Walter were lured with promises of candy and fireworks from their front yard in the Germantown neighborhood of Philadelphia by two men in a carriage; all the boys needed to do was to take a ride with the men. They carriage stopped at a store some distance away; Walter was sent into the store with 25 cents to buy fireworks. When he came back out, the carriage was gone, and so was his brother. The kidnappers demanded a ransom of $20,000 for Charley’s return — a vast sum of money for that time which was far beyond the debt-ridden Ross family’s ability to pay. The Philadelphia and national press went into a frenzy; rewards were offered for Charlie’s safe return, attempts were made to deliver the ransom demanded, and the Pinkerton Detective Agency was called in on the search. False leads led to more false leads; the boy was never found. Christian Ross wrote and promoted a book to maintain public interest in the case, and the family spent at least $60,000 looking for Charley. The perpetrators, however, were identified within a few months. Bill Mosher was killed and Joe Douglas was mortally wounded during a burglary attempt in Brooklyn, N. Y. Douglas made a somewhat confused deathbed confession that convinced law enforcement that he and Bill were the kidnappers, but he did not reveal where the boy was, or whether he was alive or dead. Little Walter was shown the bodies of the dead men and positively identified them as a result of Mosher’s seriously deformed nose. In the next five decades, dozens of boys and men emerged claiming they were the missing Charley Ross; all claims were rejected by the family. One consequence of the kidnapping was the beginning of a mindset of “stranger danger” among parents of small children, and it is believed that the phrase “Don’t take candy from a stranger!” originated in the aftermath of Charley’s disappearance. 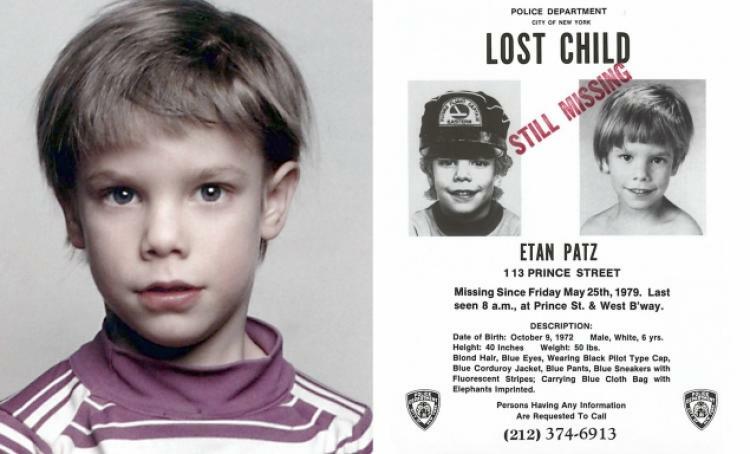 The other event I alluded to at the start of this article was the disappearance in 1979 of 6-year-old Etan Patz less than two blocks from his home in New York City’s SoHo district. There is an especially strong emotional link for me between the Ross case and the 1979 Etan’s apparent abduction; my wife and I were living and working in NYC in 1979, and the case continuously commanded everyone’s attention. By the time we became new parents in the late 1980’s, we had completely internalized the fears and anxieties of “stranger danger.” If our toddlers were gone from our view for a fraction of a second in a store or other public place, we felt a dagger of fear at our hearts. It is easy enough for us to empathize with the parents of another lost child in another century. When the case surfaced again in 2015 to its final resolution in 2017, all the old emotions were rudely yanked out of hibernation. There was no ransom demand to link Etan’s disappearance to a kidnapping; the boy disappeared, never to be found. But as with Charley Ross, Etan’s disappearance set off a media firestorm that continued unabated for decades. The boy’s face was the first to appear on a milk carton; many more missing children would appear on America’s breakfast tables in the years to come. “Stranger danger” rose to unprecedented levels of anxiety among parents, from which it has not descended. Fewer and fewer young children were allowed to walk to school or roam freely at play in their neighborhoods; playtime became far more supervised. If there was ever a need to determine the precise moment when “helicopter parenting” became a normal child-rearing practice in our society, I believe Etan’s disappearance would be just that. Etan “sightings” in New York City, the region, and even Europe and Israel, were a daily occurrence for years after the disappearance; none led to any tangible proof that the boy was alive. A convicted child molester with a connection to the Patz family, Jose Ramos was the first suspect pursued by NYPD. After years of investigation, the police did not have enough evidence to bring charges against him. It took 33 years before Etan’s abductor and presumed killer was identified as Pedro Hernandez, who confessed to luring the boy to the basement of a bodega and attacking him there. Hernandez stopped short of admitting he had killed Etan then and there, but did say he threw his body into a nearby dumpster. After a first trial in 2015 ended with a hung jury, a second trial in 2017 resulted in the conviction of Pedro Hernandez, who was sentenced to 25 years to life. Even though the perpetrators of these horrible crimes were identified and received some form of retribution, there could never be real closure for the Ross and the Patz families without the remains of their children to grieve over. Though it was certainly not his intention, David A. Conner provided us with a portal into a vastly different society with which we share the same primal fears and anxieties. And as I finish writing this piece, a news flash popped up from delmarvanow.com reporting that the Wicomico County Sheriff’s Office was dismissing as hysteria a spate of reports that a man was attempting to abduct two children in Sharptown.